Here is what is currently known. 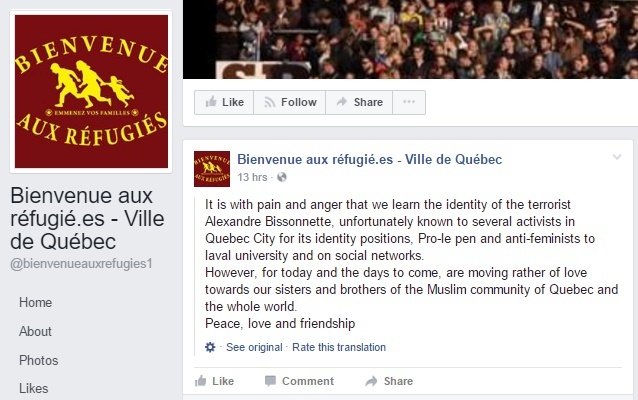 The Centre Culturel Islamique de Quebec in Quebec City was attacked during evening prayers just before 8:00 pm (the same mosque was also targeted during the summer when a pig's head and anti-Muslim message was left at the building). The shooting took place on the ground level of the mosque where the men prayed while the women were in the level above. At this point we know of six people who have been killed with 19 injured, five critically. One suspect, Alexandre Bissonnette, is in custody and has been charged with 6 counts of murder. The second individual who had been named was a witness and not a suspect in the shooting. 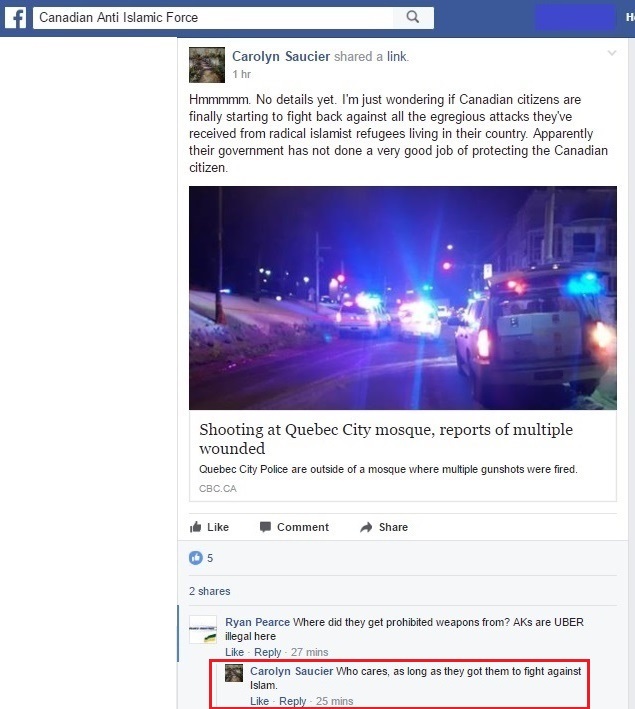 Bissonnette had contacted police after the shooting to turn himself in; initial reports suggested that there might have been explosives in the vehicle. 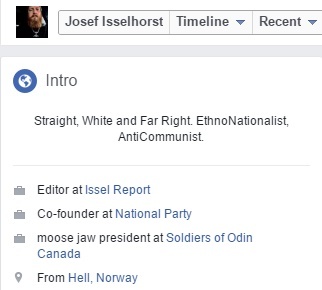 A source close to this writer has found evidence that Bissonnette ran with an alt-right group at Laval University. 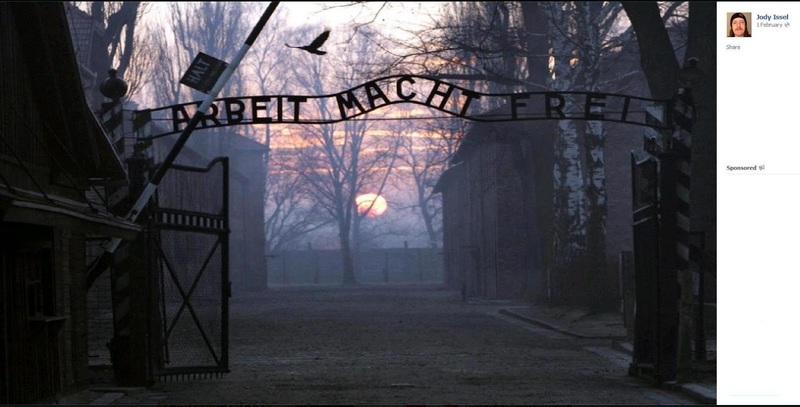 He was associated with a man named Pascal Mercier-Lévesque who appears to have been a writer for GAUCHEDROITISTAN. 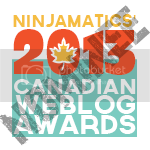 The site is conveniently down for maintenance (wonder why?) but the Internet Archives have the site saved. We'll publish information as it becomes available. 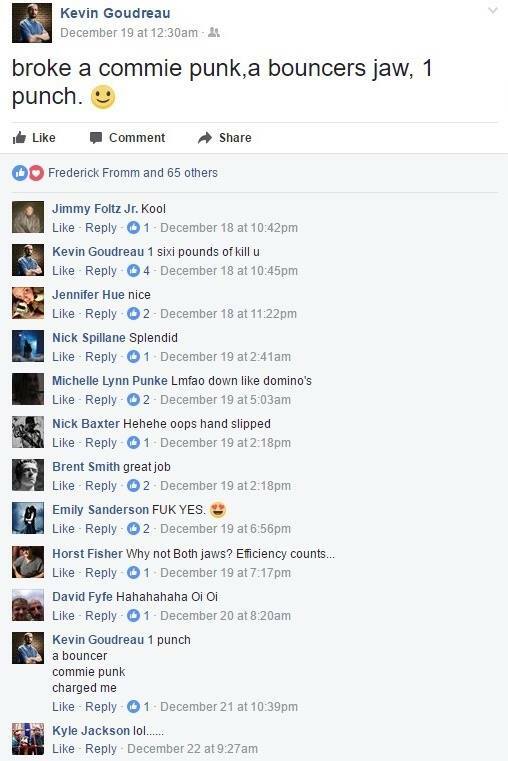 Soon after the shooting took place we decided to check out the reaction to the shooting on the various Facebook groups we monitor. When we took these screen shots we knew a lot less about the incident than we do now, but lot of the folks on these sites seemed to think that the shooters were anti-Muslim.... and are really happy about it and hoped to see more shootings. Others suggested that it was a "false flag" operation to push for (a) gun control (b) legal prohibitions against negative speech about Islam. 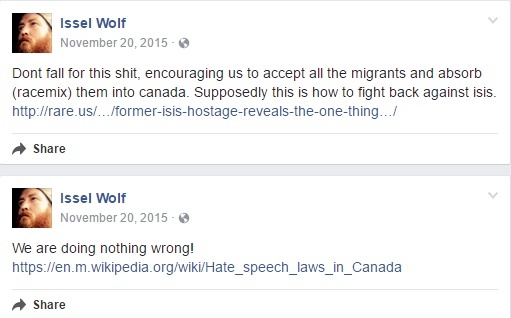 Others blamed Trudeau (some of whom hoped he would be targeted as well "next time"). And still other suggested sectarian violence, which again they were okay with so long as Muslims are killed. As a political conservative with some First Nations ancestry and many friends (from all political persuasions) from local First Nations communities, I would like to address the canard that First Nations peoples do nothing for this country. 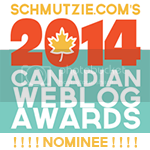 Especially since I hear it from wider audiences than just the tiny minority of racists in Canada. First, we need to recognize the horrific impact of the Residential School System upon the First Nations family. As Canadians we often point the finger at America over blacks and slavery, but we are just as guilty when it comes to First Nations Peoples and the Residential School System. I dare say the impact of Residential School System among Canada's First Nations was as destructive as slavery among African-Americans in the U.S.
Second, for generations Canada's First Nations people were not permitted to advance themselves in society. The amount of red tape and bureaucracy they needed to circumvent to establish businesses and engage in other professions was triple that of other people in Canada (whether black, white or Asian). So it's not that they didn't want to do anything for themselves or for Canada. It's that they were actively discouraged from doing so through government policy and bureaucracy that imposed burdens upon First Nations people to which others were not subject. An extremely eye-opening example for me is the story of Douglas Cardinal, probably one of Canada's most renown architects who designed the Canadian Museum of History. He is First Nations. Blackfoot, if I recall correctly. I remember watching a documentary on his work and how he was forced to go to Texas to study architecture because no Canadian school would accept him because he was First Nations. Additionally, even after he graduated he found it difficult to find work in Canada because his ideas incorporated First Nations influence. I find it appalling that a man who would become one of Canada's greatest architects would be treated in such discriminatory fashion as a young man. To contribute to Canada, he basically had to overcome rejection from every professional school in Canada, go to the United States, earn his degree down there, face more rejection from Canada during the early part of his career while looking for work, and only once his genius was recognized by Americans was he then deemed acceptable to return to Canada. I'm sorry, but had I been a young First Nations professional in Mr Cardinal's position I would have given up on Canada after being on the receiving end of such poor (and I would argue racist) treatment. I would have stayed in the United States where my talent and hard work was recognized. How many more young First Nations people did Canada miss out on because they simply gave up after having their dreams crushed, or stayed in the United States where they were treated more fairly? I get what you guys at ARC are trying to do in combating racism. And we may sometimes disagree on political issues. 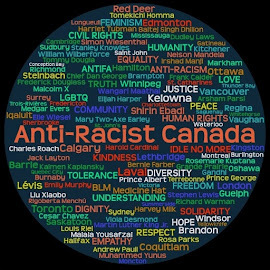 But I believe that there is an inherent racism in Canada against First Nations peoples that runs much deeper than the tiny of minority who make up various hate groups. Not really anything we need to add, is there? 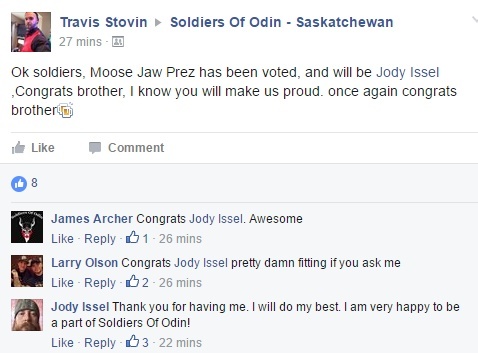 That's right, former Soldiers of Odin Moose Jaw president. 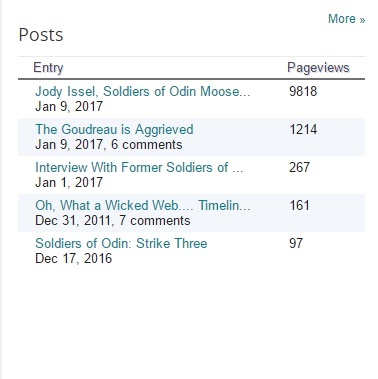 We're currently working on collecting information for an article on the Soldiers of Odin in Saskatchewan, specifically the leadership in Moose Jaw and the connection to the neo-Nazi movement in this country and abroad, however we thought we'd share something that came across our desk and caused us to collectively giggle. Yeah! How dare we believe our lying eyes! Well, the truth will out, won't it? 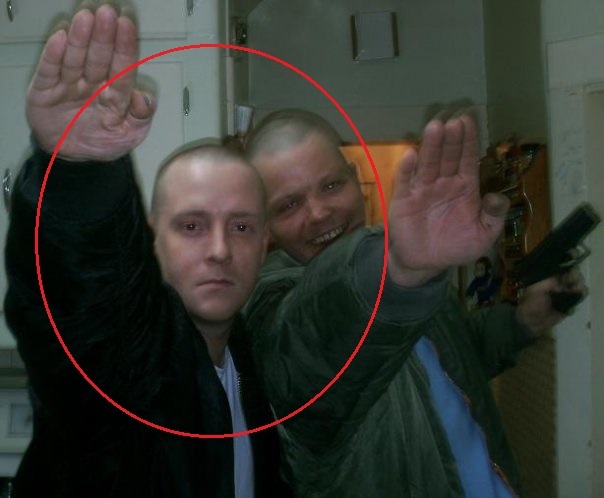 Now this is admittedly an older photo of Jody Issel, but it does sort of capture a particular moment in time, specifically the time he tried to start up an unauthorized chapter of the Aryan Nations' in Saskatchewan. 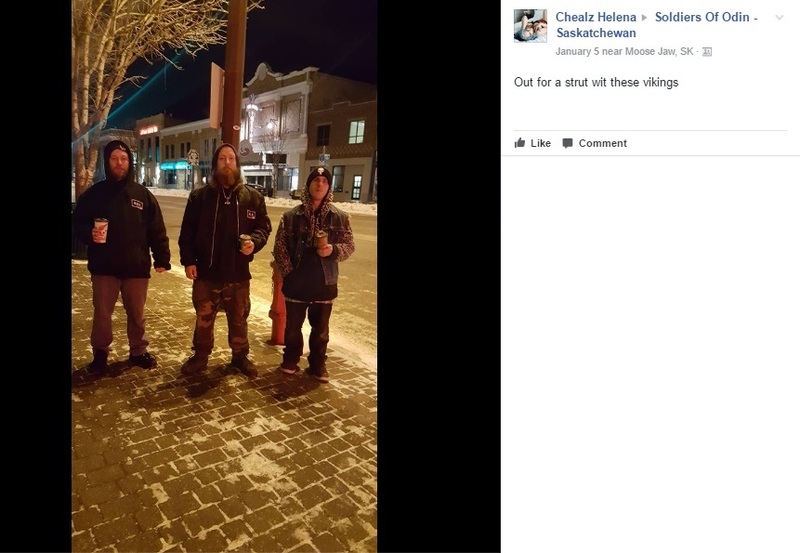 That effort didn't pan out so well, so he threw in his lot with Kyle McKee and the Aryan Guard in Calgary for a while, attending at least one of their "White Pride Day" marches. 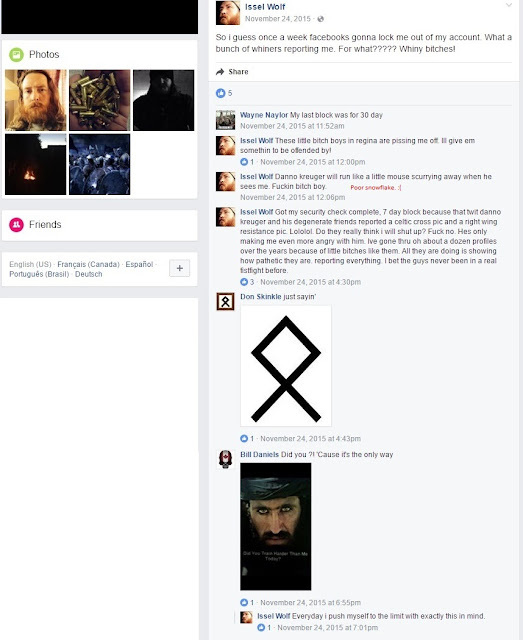 A few months after we reported Issel's efforts to start an Aryan Nations' chapter, he contacted us to first beg, then threaten us, to remove his information. We didn't and we still haven't, but at that time he seems to have recognized that being associated with the racist movement wasn't good for his career prospects. 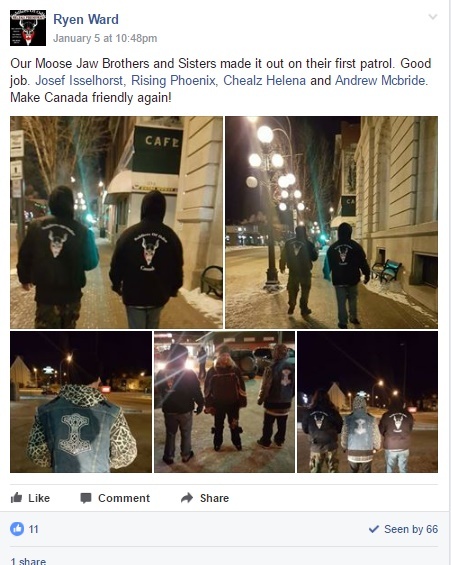 The problem here is who will protect the fine folks of Moose Jaw from the people who claim to want to protect them? 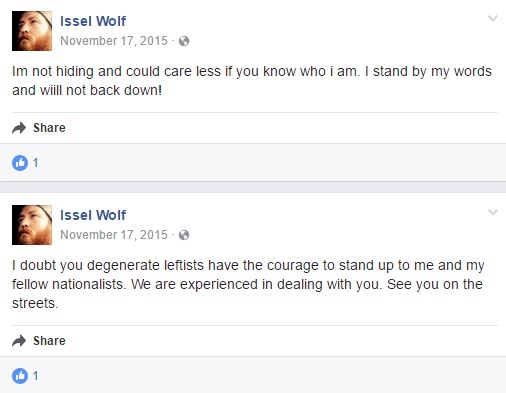 It's funny, because although he claimed that he wasn't hiding, at the time Issel posted these messages on his other profile, it was locked up tighter than gnat's chuff. So why does Issel feel more comfortable openly expressing his racism? 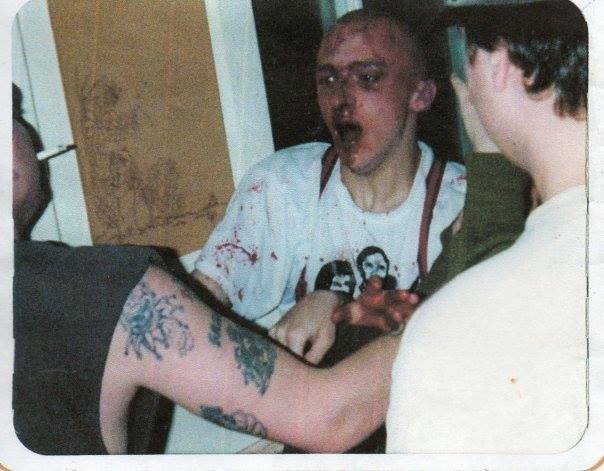 Last month we reported that Kevin "Not in the Face!" Goudreau found himself in a rather unfortunate altercation that resulted in his arrest. At the time I posted that [the update on Facebook], he had not been arrested. He came back later in the night, at which point he was arrested. I know he is awaiting trial on December 8th. 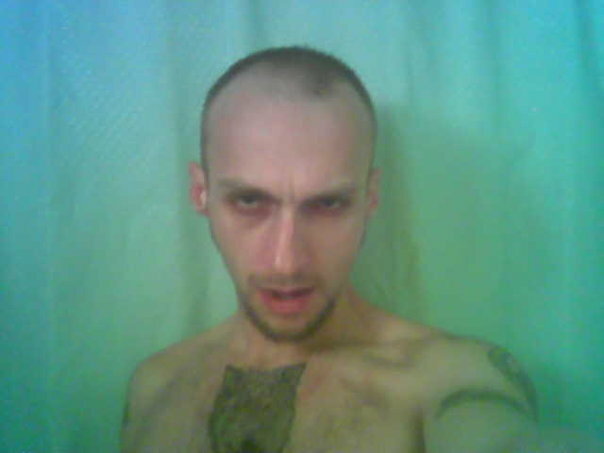 Other than being violent, I found him to be a caricature of something he couldn't possibly be. He tried this staring thing with me. It was pretty funny. It seemed like he thought he was hypnotizing me or something. No, that doesn't sound at all like the Goudreau, does it? 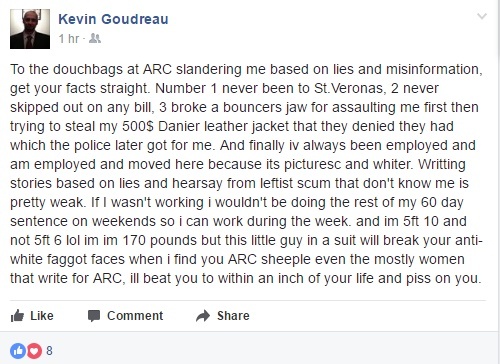 In any case, the Goudreau (who wasn't active on social media for some time after his arrest) eventually provided his take on the events of the day in question which were TOTALLY believable! Ohhhhh, a Danier leather jacket! Well that certainly changes everything. 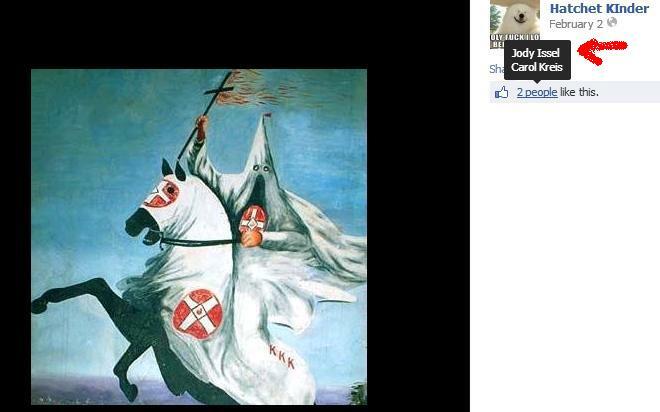 Shall we add this to yet the list of threats the Goudreau has made towards us and others? We aren't in the least worried. Tregget had also been the SoO national chapter's vice-president prior to his depatrure. That fact however did not insulate him, nor some of the other former SoO members who left the group, from being labeled as traitors. Among the others who left the SoO are William Crotty who had been the president of the Alberta chapter (and who is the "William" mentioned in the Vice exposé published last April) and Colin Oleary who was a leader in New Brunswick. Depending upon whom one wishes to believe, Tregget either resigned from the SoO or was suspended. After reading the CBC article and on a bit of a whim, I decided to contact Tregget to see if Anti-Racist Canada could get his side of the story regarding the reasons for his departure from the SOO, though if I'm honest I didn't expect him to respond to my query. Much to my surprise, he did respond and further agreed to an on the record interview to offer his side of the story concerning his exit from the SoO.